$90.00 monthly Unlimited CrossFit and Open Gym. Membership includes Open Gym, CrossFit, Endurance, Powerlifting, Olympic Lifting, Mobility, foundations, and the benefits of looking better naked. Sixty Minutes - $40.00. Click to purchase. Thirty Minutes - $20.00. Click to purchase. For In-Home options, contact us. 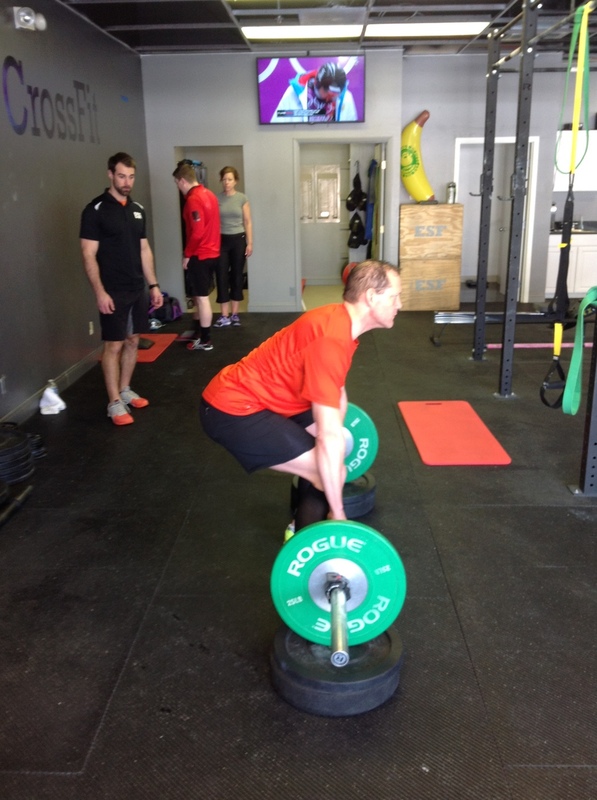 Personal training here at ESF CrossFit is the total package. We will build a unique fitness regime that fits your health and fitness goals. We specialize in functional movement, mobility, and nutrition to help optimize your results. We have worked with the best athletes in the area as well as grandparents that just want to be active and improve their overall quality of life. Fitness is a life long journey that many struggle with. Luckily, the friendly staff here at ESF CrossFit is here to guide and coach you on the path to a healthier lifestyle. If this sounds like something that is right up your alley then do not hesitate to give us a call and set up your first personal training session FREE. Do you have an athlete in the family that could benefit from flexibility, core strengthening, improved cardio and respiratory endurance, or overall athletic performance? If you answered yes to any of these aspects of fitness, then you need to schedule your FREE first personal training session to see how the certified fitness professionals at ESF CrossFit can turn them into the athlete they always dreamed they would be. Group of 2 Individuals - $30.00 per person. Click to purchase. Group of 3 Individuals - $25.00 per person. Click to purchase. Group of 4 Individuals - $20.00 per person. Click to purchase.